I had grand plans for this week’s challenge. It had been a while since I took a part in Illustration Friday, so when I checked my inbox and saw that “Breakfast” was the theme…. well I had to go with this pre-existing piece of mine. I liked it because I got my name in the advertisement and it was also a fun piece to create. 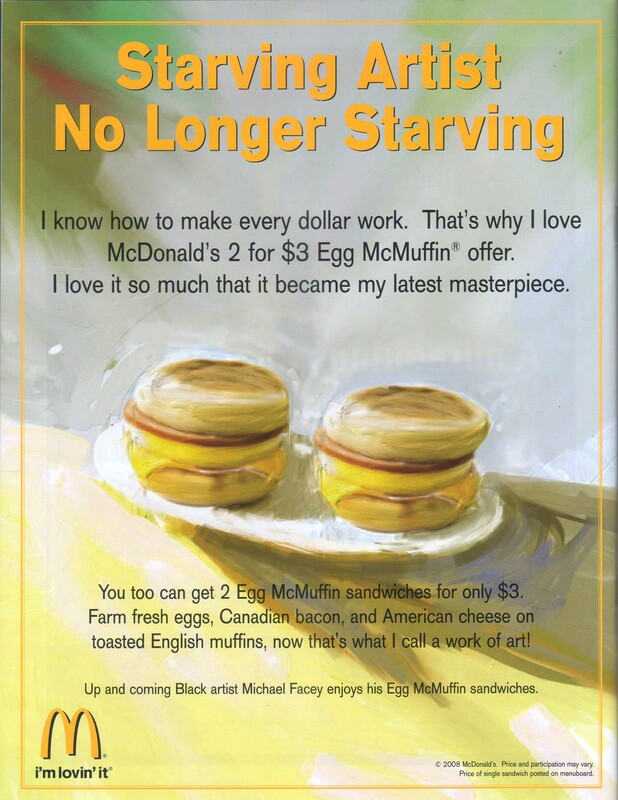 Doing art for McDonald’s was nothing to sneeze at either!! Reference was easy to find, and this was the first in the 2 for 1 campaign. Okay, next week it will be ALL NEW! Hold me to it!! AWESOME! This is a wonderful painting! The colors, the technique, the everything! This is fantastic! I’m glad you dusted it off and gave us a peek! SWEEEET! I only need one of those…. and you have two! Do you share?